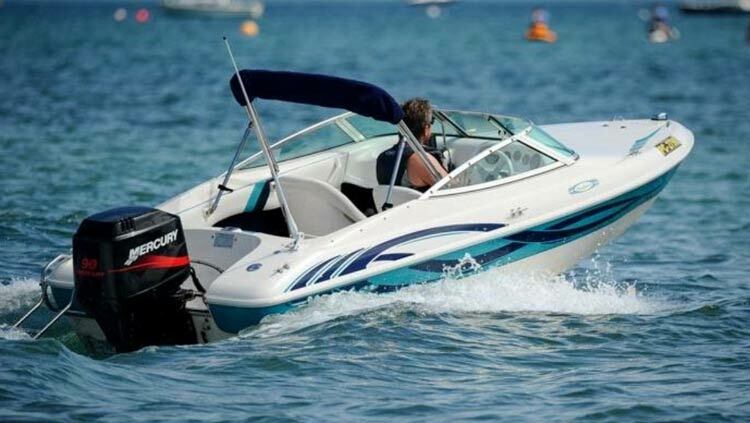 Regretfully selling Maxum 1800 SR3 speed boat due to lack of use in recent years. 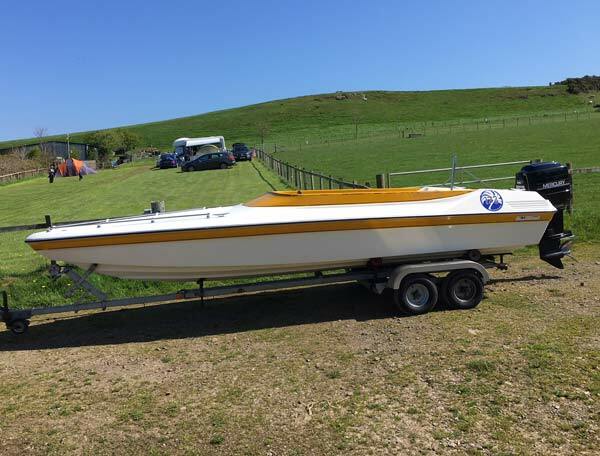 2006 Model with 1 owner from new (myself) which is in very good condition (including trailer). 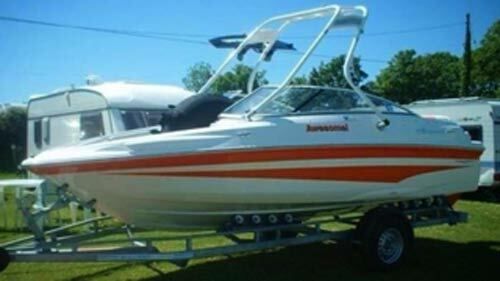 Great boat for cruising and also pulling ski's/toys. 3 Litre MerCruiser Engine with low hours. 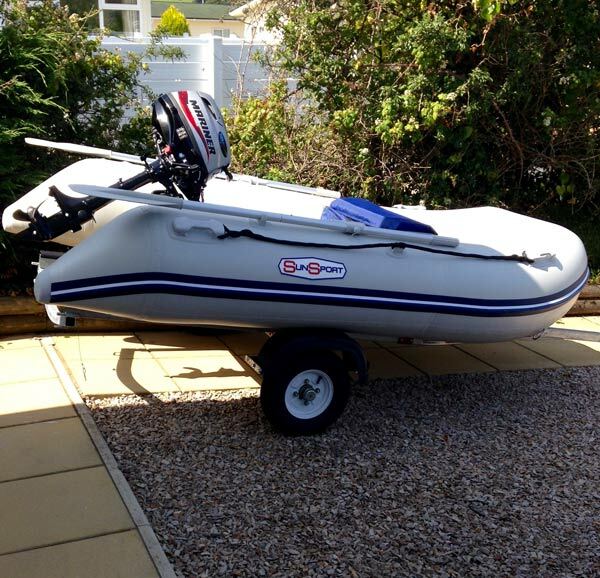 SBS 1800 (UK legal) roller coaster trailer for ease of launching both on slipway and beach. Bow well, Cockpit and Bimini covers all included. Stainless steel pull up cleats. Stainless steel ski tow point. Consistently washed and flushed after EVERY use. Winterised and stored under-cover out of season during the winter months. 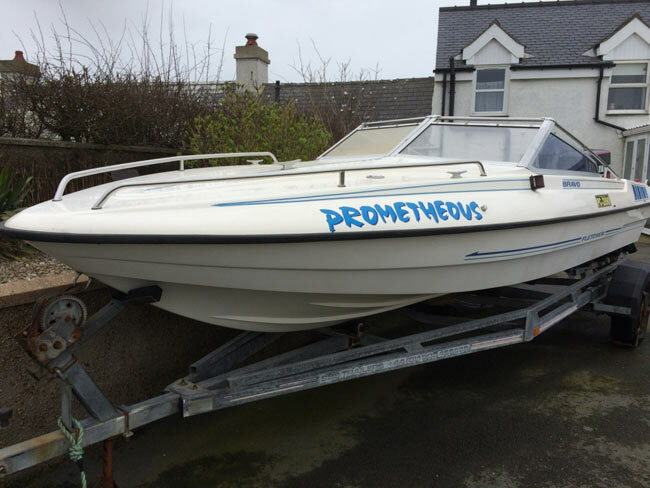 Sea trial possible for genuinely interested buyer. Trailer tyres in good condition with plenty on tread remaining having only been used for short tow's. 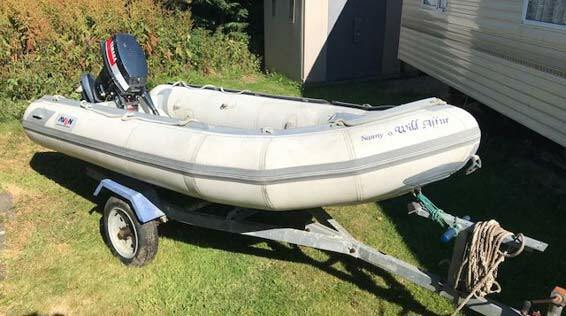 220 V6 Yamaha outboard engine (1989). Seats 6, comes with service history and receipts. New hydraulic steering system in 2009 and new overall cover and engine cover in 2017. Contact Nick for more details 07969 421323. Regal 1900 inboard diesel 2006 with new engine in 2013. 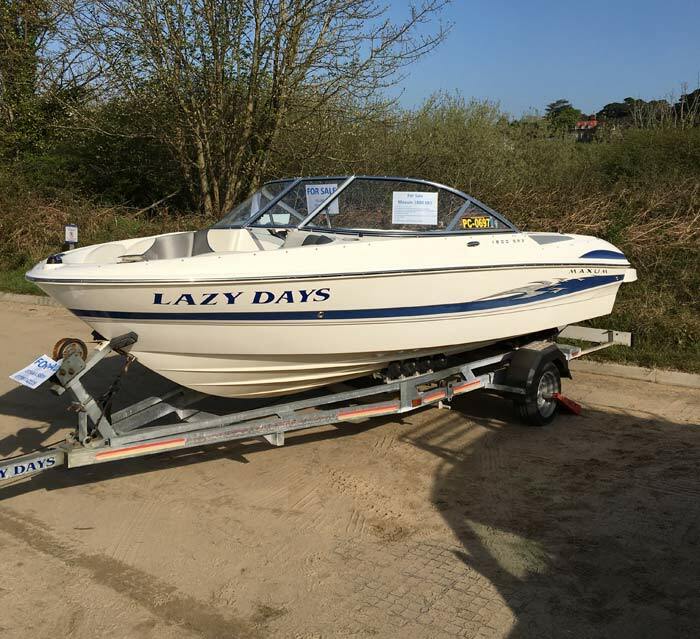 Superb economy very high quality boat with lots of extras on excellent trailer. 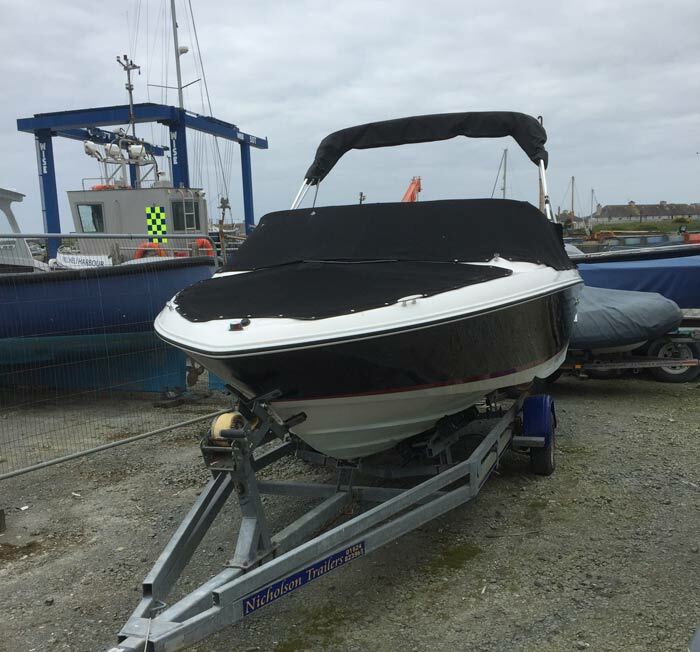 Fastidiously serviced and maintained by harbour marine. 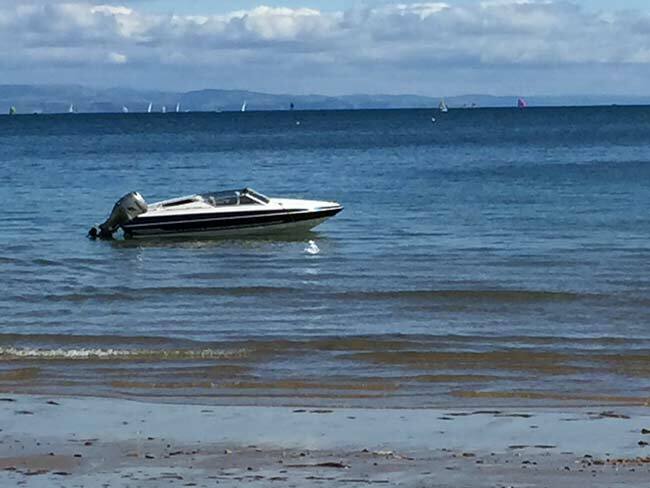 Price reduced to £14,500 and would consider part ex for mid sized rib. 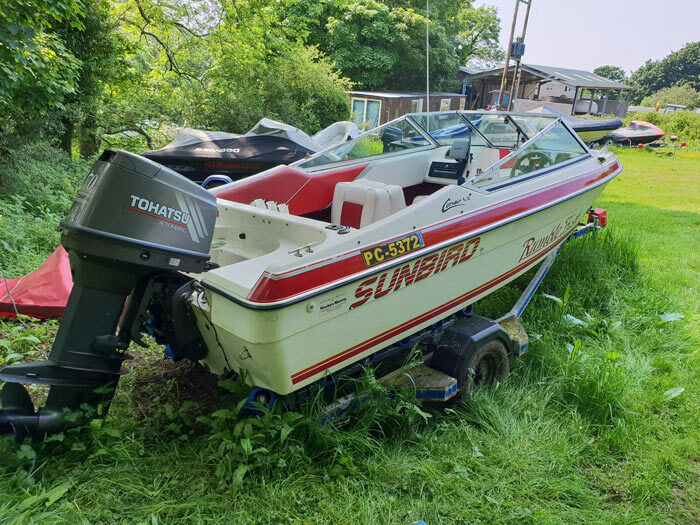 Sunbird Corsair bowrider speed boat built mid 1990s with 2 stoke automix Tohatsu 70 HP outboard. 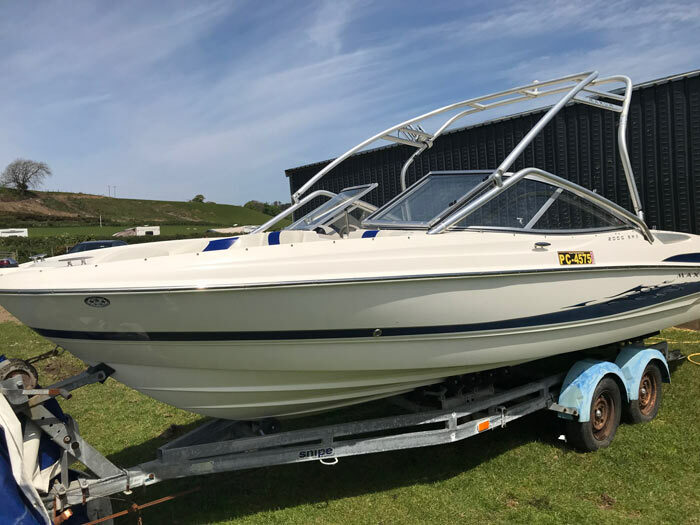 Fitted with Garmin GPS60 plotter/fishfinder, Navman VHF radio, FM radio, navigation lights, electric bilge pump and anchor with rope and chain. Roller trailer with light board. not been used for 5/6 years but was working fine then. Engine will probably need a service. 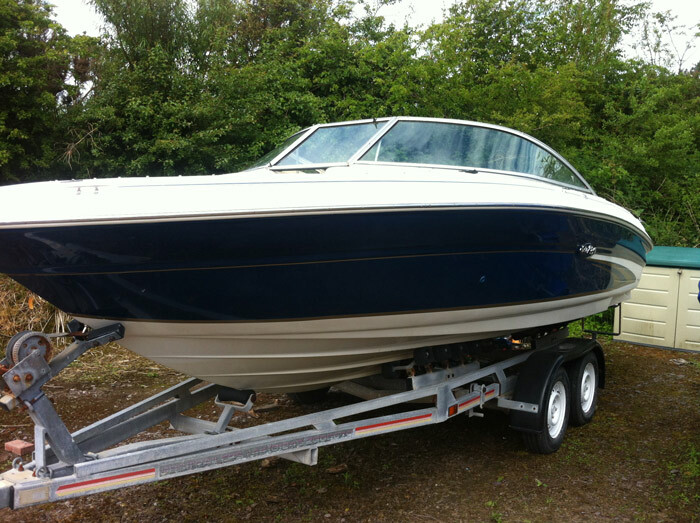 Sea Ray 190 Bow Rider , 2001, lovely unmarked condition throughout. 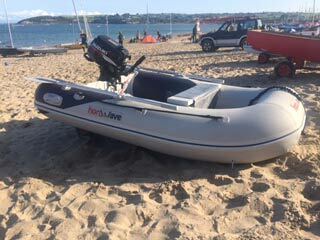 S/s prop, radio/cd, fish finder, anchor, fenders, winter cover. Skis, rope, donut available by negotiation. Braked trailer recently serviced with new hitch damper, working brakes & Handbrake, Bearings all good. Hull is original Gelcoat made by Mike Ring in 1988, has the original hull identification under the bow. Engine is a 200hp carburettor Mercury early 1990’s. Good healthy engine that runs very well, no way to tell engine hours as it doesn’t have an ECU. Nice simple engine with no expensive electronics! New Pro trim controls on the steering wheel. Rear seats and sun deck have been re upholstered. Full bespoke cover. 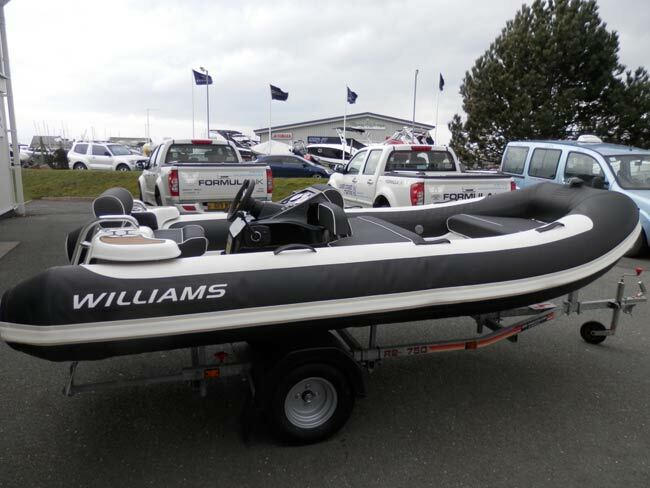 Great looking boat that is quick and can handle the UK sea! 7.8 hours on the clock been in water 3 times. Year 2000. Great condition for year. Fletcher Arrowstreak 160 - 16ft. 90hp 4 stroke Honda Engine. 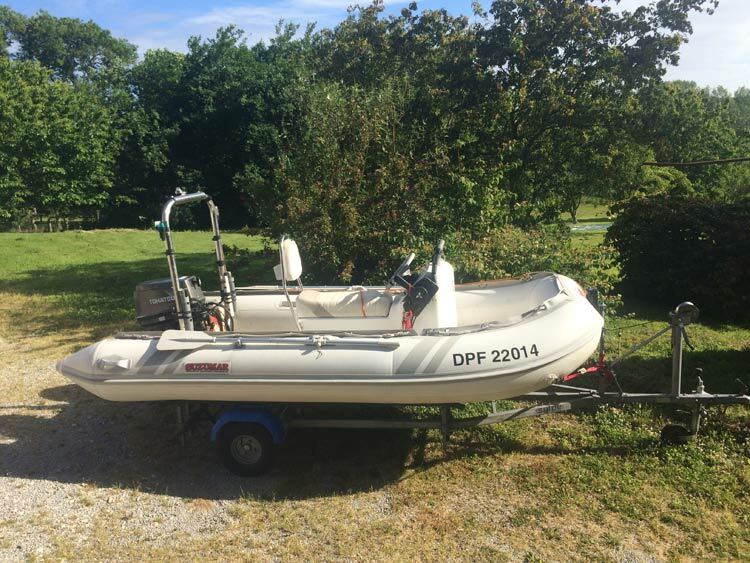 Serviced regularly by McGill Marine. Call 07464980295 for more information.